One of India's biggest tech firms says new curbs on immigration around the world could hit its revenues and profits. Infosys (INFY), India's second-largest outsourcing company, said tighter restrictions on foreign workers in some of its biggest markets pose a major risk to its business. A large number of the company's employees depend on visas to work on projects for clients in the United States, Europe and Australia. "An increase in anti-outsourcing sentiments in certain countries in which we operate, including the United States, United Kingdom, European Union and Australia have led and may in the future lead to the enactment of restrictive legislations," the company said in a filing with the Securities and Exchange Commission last week. That legislation could make it harder for Infosys to win customers and send workers to those countries, which "could hamper our growth or cause our revenues to decline and impact profitability," it added. Infosys, which employs over 200,000 people worldwide, is a key player in India's outsourcing industry, which generates over $140 billion in revenue and accounts for nearly 10% of the country's gross domestic product. It is also one of the top recipients of H-1B visas to the United States, a program used heavily by Indian companies to send tech workers to US clients. More than 70% of H-1B visas have traditionally gone to Indians. But President Donald Trump has cracked down on the program. His administration has accused companies like Infosys of flooding the United States with cheap foreign labor. Other big Indian tech companies have also been affected by US policy changes. Wipro (WIT) warned last year that Trump was a risk to its business, while the industry's biggest player — Tata Consultancy Services — has been cutting back on H-1B visas. The US Citizenship and Immigration Services (USCIS) updated its policy earlier this month to make it easier to reject visa applications outright without giving applicants the chance to produce more documentation. "Doing so will discourage frivolous filings and skeletal applications used to game the system," USCIS Director L. Francis Cissna said in a statement announcing the changes, which will take effect on September 11. Infosys has pledged to take on more American workers, announcing last year that would hire 10,000 new people in the country. The company is also facing barriers in other big markets such as the United Kingdom and Australia, which are also trying to reduce immigration. And its clients, which include big names like Pepsi (PEP), Kellogg (K), and computer chip maker AMD (AMD), might end up having to pay more for its services. "There has been an increase in the number of visa application rejections," Infosys said. "As a result, we may encounter delays or additional costs in managing such projects ... and this could result in additional expenses." Trump's policies on immigration have been criticized by several prominent industry leaders, including Google's (GOOGL) Eric Schmidt and Uber CEO Dara Khosrowshahi. JP Morgan (JPM) CEO Jamie Dimon has also voiced concerns about overseas talent being forced to turn away from the United States. 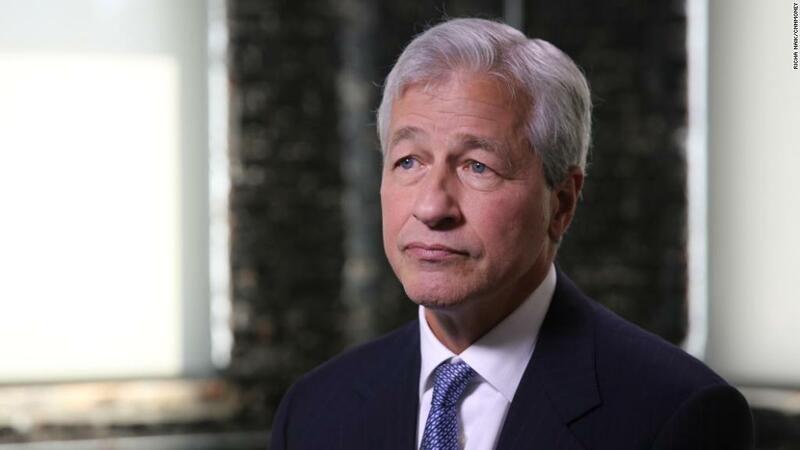 Foreign nationals who go to college or graduate school in the United States should be awarded green cards after graduation, Dimon told CNNMoney's Christine Romans in an exclusive interview last week. "You have these new research centers, new AI centers, and new [engineering] and design centers that are being built in Vancouver and Toronto, and not in Seattle," he said. "That can't be smart."